Hurricane Irma barreled into Florida as a Category 4 hurricane after leaving a trail of destruction on islands and island chains in the Atlantic. Less than two weeks before, Harvey caused a catastrophe in Houston and along the Texas and Louisiana Gulf Coast. The Houston area is home to 30 percent of the oil refinery capacity in U.S., along with a heavy concentration of chemical plants. There were massive toxic releases from industrial plants into air and water–even by the standards of industry self-reporting, which means systematic underreporting. It’s a city, like others, built around extreme wealth disparities–with immigrants, people of color and the working class as a whole often relegated to the most environmentally dangerous areas. It has its own cancer alley along the Houston Ship Channel, which was, of course, swamped by Harvey. Houston had an estimated 600,000 undocumented workers running key sectors of the city’s economy before Harvey, and immigrant labor will be critical to rebuilding. Yet Texas’ anti-immigrant law SB 4, which deputizes state, county, city and campus law enforcement officers as immigration agents, was supposed kick in during the middle of the disaster, scaring many immigrants away from seeking aid. 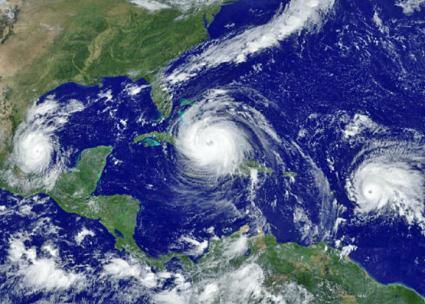 The city has been devastated by hurricanes before. A ProPublica article published last year found that it was a matter of time before disaster struck–meanwhile, 80 percent of homes flooded by Harvey don’t have flood insurance. And the trend of superstorms, extreme heat events and droughts–of extreme weather events in general–is going in the wrong direction, toward greater instability and extremes. Harvey, therefore, gives us a sobering glimpse of the future. Naomi Klein, the left-wing author, is right that now is the time to talk about climate change–and after Harvey and Houston, it is necessarily a time to talk about capitalism. Marx and Engels noted that this unity with nature is ripped apart by capitalism through a “metabolic rift”–a separation that deepened and further developed under capitalism, where a small minority of the population controls all major aspects of the economy. At the heart of capitalism is wage labor. Workers are compelled by the need for work to survive to carry out the labor that drives the system–including its most destructive operations, like the drilling platforms or the chemical factories. In fact, the workers who do this particular work often best recognize the ecological consequences involved–and, unfortunately, experience many of the most dangerous ones. It makes perfect sense that the Oil, Chemical and Atomic Workers International Union spawned a radical labor leader like the late Tony Mazzocchi. Capitalism is driven by the perpetual need to produce more profit, or it snowballs into recession and crisis. So it isn’t enough for scientists to develop new technologies that could create a sustainable world. They have to be put to use, and under capitalism, they won’t be unless it is profitable to do so. The companies fight against regulations, and if they see that they’re going to pass, they try to get them watered down. And then, if they actually go into effect, the companies try to make sure they aren’t very well enforced. So even if the regulations exist and are meaningful–which is rare–the industry finds ways to get around them. Often, the fines for violations aren’t very much. You could have a good regulation, and a company violates the regulation, and they pay a thousand-dollar fine or a ten-thousand-dollar fine. For them, what’s the difference? This is part of why reforms can’t be counted on to save the planet: At the end of the day, capitalist corporations and the pro-business parties running the government will prioritize profits over anything that would reduce them, even by a small amount. This isn’t only true about the U.S. government under Trump. Barack Obama came into office in 2009 promising radical steps to address climate change. Instead, under his presidency, the U.S. ramped up fossil fuel extraction and processing to deliver cheap energy to U.S. manufacturing so it could better compete globally–and to turn the U.S. into a net oil and gas exporter. Obama helped undermined the Copenhagen climate change summit less than a year into office, ran cover for BP after the company’s Deepwater Horizon disaster in the Gulf of Mexico and bragged to oil company executives about laying enough pipelines to ring the planet. One is the struggle for justice in the aftermath of “natural” disasters. The establishment will take advantage of every crisis to further its agenda of privatization, accumulation and gentrification, furthering the oppression of people of color and the working class. Naomi Klein called this the “Shock Doctrine,” and it played out in New Orleans after Hurricane Katrina in 2005, with mass permanent displacement of African American workers–many of whom ended up in Houston–privatization of the schools and the abolition of the teachers union, although unions are reorganizing today. We want rebuilding to guard against future floods and disasters–and to take place on the basis of racial justice and equal rights for all, including for all immigrants, regardless of legal status. Second, we have to fight against fossil fuel extraction and for renewable energy alternatives–which means both protesting pipeline construction and joining with struggles that improve and expand public transportation. If we are organizing with institutions and people where raising the need for a socialist alternative can’t be done, then we are probably organizing in the wrong place–and likely an ineffective place as well. Meetings and campaigns involving Democratic Party politicians are a prime example. Another is the behind-the-scenes strategies to persuade university committees that claim to be considering fossil-fuel divestment. Their loyalty, at the end of the day, is to business interests–unless they feel the pressure of a struggle that will expose them. There is widespread understanding of the urgency for action now to stop climate change. We don’t have endless generations. CO2 levels will continue to climb despite the scientific consensus that this will have catastrophic consequences for the planet. But the technology does exist to radically reduce greenhouse gas emissions, as does the science that can be put to use in mitigating the impacts of past carbon emissions–if the system’s priorities were radically changed. Anyone who thinks we need system change needs to be dedicated to all the struggles for change today–and to arm themselves with the contributions of Marxism toward understanding the roots of the crisis and the alternative to it. Wellcome’s Chair, Eliza Manningham-Buller, and Director, Jeremy Farrar, have written to the leaders of all UK political parties with MPs in Westminster ahead of the upcoming general election on 8 June. This includes the Conservatives, Labour, Liberal Democrats, the Green Party, and parties in Scotland, Wales and Northern Ireland. a migration system that is straightforward and welcoming to researchers, technicians, innovators, and their families, at all career stages and from all over the world. The government that is elected on June 8 will determine the direction that the UK will take through exit from the European Union and beyond. Among the issues at stake are Britain’s future positioning on the global stage, and its historic role as a world-leading centre for outstanding scientific discovery that transforms life and health. As the world’s second highest-spending charitable foundation, committed to supporting science and improving health, Wellcome is proud to invest the majority of our £1bn annual spending in the UK. This letter sets out the conditions that we believe are necessary to sustain the scientific excellence that allows us to invest here so confidently, and which advances health and economic prosperity. Wellcome’s mission has long been enhanced by a shared understanding with UK governments of all political complexions that research and innovation accomplish more when nations and their scientists collaborate across borders. We believe that the next UK government will face an important choice. It can continue this understanding, looking outward as an open nation and committing to global partnerships and institutions. This is critical to taking on fundamental scientific questions, and challenges such as pandemics, drug-resistant infections, climate change and mental health, which no single nation can address alone. Or it can allow the UK’s focus to drift inward, by commission or omission, which would close doors to international collaboration and talent. The cross-party commitment to spending 0.7% of GDP on Official Development Assistance is a clear expression of this country’s intent to be a constructive international partner. If the next government wishes to sustain Britain’s global posture and scientific excellence it will also have to take the right decisions in three other areas. First, we know that science and innovation are reliable drivers of economic growth and sustainable employment when the right conditions are in place. These conditions include strong investment, which would be secure if the UK met the international benchmark of spending 3% of GDP on R&D across the public and private sectors. They include the UK’s unique dual system of flexible support through both research grants and wider infrastructure funding, which has given the UK four of the world’s top ten universities, and regulation that promotes innovation, builds public confidence, and facilitates access to wider markets. And they include access to capital that is patient enough to allow small companies founded on scientific ingenuity to grow into large ones. Next, we know that science thrives when funding incentives encourage collaboration across borders. This makes sharp minds sharper, and drives up standards everywhere. The EU’s Framework Programme funding does this exceptionally well, stimulating excellence and partnership where many schemes with similar intent have failed. It would be a mistake to walk away from a system that the UK has worked so hard to get right over many years, and from which we could continue to receive more funding than we contribute, or to replace it with purely domestic funding that does not promote collaboration as effectively. The next government should commit to securing associate membership of EU science schemes, as it builds on their success to forge similar global partnerships. Finally, we know that great science is built on great talent – wherever it is from. As the UK’s migration system changes, it must be straightforward and truly welcoming to researchers, technicians, innovators, and their families, at all career stages and from all over the world. We must be open to talent not because there is a shortage of home-grown scientists – but because the arrival of people with new ideas and fresh thinking lifts standards and gets better results. Such openness is entirely compatible with achieving greater control over total migrant numbers. It could be achieved if the next government were to work with the academic institutions and high-tech businesses that it will rely on for growth to design the migration system that can enable this to happen, including sponsoring appropriate candidates for visas. The world is watching how the UK faces this crucial moment in its history, and the tone and substance of the approach you choose will help determine the UK’s place in the world for generations to come. We urge you to grasp the opportunity for the UK to grow as a constructive, enthusiastic international partner, for science, research and health in Europe and around the world. “Against stupidity, the gods themselves struggle in vain”, Goethe. Towards the end of January, “mostly supine” MPs passed a bill after a “clueless debate”. Not my words but those of an editorial in New Scientist (30 January 2016) and a report by Clare Wilson. The act came into force on 26 May, meaning that previously legal “head shops” must cease selling NPSs. The banned drugs will only be available from illegal drug dealers. The story starts with the panic about “legal highs”, chemicals with similar effects on mood to banned drugs such as ecstasy, cocaine or speed, hence the term “psychoactive”. Legal highs were not covered by drug laws that banned named compounds but not new ones with similar effects. If history tells us anything, it is that humans take drugs. Sometimes, these drugs cause harm to those who take them or to society in general. Banning specific drugs makes their use more dangerous. A logical approach would be to reduce the harm by controlling purity, taxing their sale, and educating users instead of criminalising them. Drug users would prefer not to break the law, providing a considerable incentive to synthesise new drugs that mimic banned drugs but aren’t on the banned list. But these new drugs will have unknown side effects and there is no control on dose and purity. In contrast, the effects of many “traditional” drugs are known. The rationale for banning NPSs was that they were dangerous. Legal highs were mentioned in coroners’ reports for only 76 deaths from 2004 to 2013 (Office for National Statistics). Despite the government’s banning of NPSs as fast as it could, the number of mentions was increasing (23 in 2013). Reliable data are extremely difficult to obtain and mere mention of a drug in a coroner’s report is not evidence that the drug caused the death. As each NPS was banned, more were synthesised. There were 24 NPSs in 2009 and 81 in 2013, making the government’s actions futile, so some bright spark came up with the idea of banning the production and supply of all substances which produce “a psychoactive effect in a person… by stimulating or depressing the person’s central nervous system [thus affecting] the person’s mental functioning or emotional state.” A bill was proposed by the new Conservative government and specified that anyone producing or supplying (but not merely possessing for personal use) the previously legal NPSs could be sent to prison for up to seven years. The proposal soon ran into problems. Firstly, what is meant by stimulating or depressing the central nervous system? Secondly, what constitutes an effect on a person’s mental function or emotional state? Thirdly, how could it be proved that any suspected substance was psychoactive? After all, placebos can be psychoactive. Fourthly, what about alcohol, nicotine, caffeine, many medicines, and foodstuffs such as nutmeg and betel nut (or, in my case, cake)? Finally, would bona fide scientific research on psychoactive substances be outlawed? Criticism poured in from scientists. Respected medical researchers said the bill was “poorly drafted, unethical in principle, unenforceable in practice, and likely to constitute a real danger to the freedom and well-being of the nation” (letter to The Times). Even the government’s Advisory Council of the Misuse of Drugs (ACMD), more in line with politicians’ wishes since the shameful “firing” of Professor David Nutt (see below), produced a list of objections. The government’s omission of the word “novel” made the bill apply to a vast number of other substances in addition to legal highs. It would be impossible to list all exemptions so benign substances, such as some herbal remedies, might be inadvertently included. Also, proving that a substance was psychoactive would require unethical human testing, since laboratory tests might not stand up in court. The government changed the bill to exempt scientific research but otherwise remained obdurate. An example of the inevitable confusion concerns alkyl nitrites (poppers). Known since 1844 and used to treat heart problems, they have a short-acting psychoactive effect and are generally safe. However, the government referred to several non-specific risks and claimed that poppers had been “mentioned” in 20 death certificates since 1993 (far fewer than for lightning). After a Conservative MP appealed for poppers, which he used, not to be included, the government said they would consider the arguments later. Another example concerns nitrous oxide (laughing gas), included in the ban despite its long history of use in medicine and recreationally. Discovered in 1772, laughing gas was greatly enjoyed by Sir Humphry Davy and friends, including the poet Shelley. It has an impressive safety record and has been used in dental and childbirth anaesthesia and sedation since 1844. * Nevertheless, the government referred to “the harms” of recreational laughing gas and included it in the bill. In fact, the deaths “caused” by nitrous oxide result from incorrect methods of inhalation which could be eliminated by education. Tories don’t have a monopoly on cluelessness. Expert neuroscientist Professor David Nutt was “sacked” from his position as chair of the Advisory Council on the Misuse of Drugs by the right-wing press’s favourite Labour politician, former Home Secretary Alan Johnson. This was after Nutt showed that cannabis, then being upgraded to Category B (the same as codeine, ketamine, mephedrone or speed) was less harmful than alcohol or tobacco. This wasn’t an ordinary sacking since Prof Nutt gave his time and expertise freely, believing that it was important to present the evidence to improve the quality of the debate. Three members of the ACMD resigned in protest. Shamefully, PM Gordon Brown backed Nutt’s removal, saying that the government could not afford to send “mixed messages” on drugs. Both Brown and Johnson (some people’s favourite to replace Jeremy Corbyn) were quite happy to send the wrong message. Supported by other scientists, Nutt was awarded the John Maddox Prize for standing up for science by the pro-evidence charity Sense About Science. The government subsequently accepted a new ministerial code allowing for academic freedom and independence for advisers, with proper consideration of their advice. Under this, Nutt would not have been dismissed. Robert De Niro’s support for the fraudulent quack Andrew Wakefield, struck off by the GMC in 2010 for “callous disregard for the distress and pain of children” has raised fears that American parents will be unwilling to give their children the MMR -measles mumps and rubella – jab, needlessly putting thousands of children at risk. In this age of conspiracy theories (especially prevalent, it seems, in the US), the very fact of the film being withdrawn in response to an outcry against it by the scientific and medical “establishment” may well only serve to give publicity and credibility to the dangerous, dishonest fraud and quack Wakefield and his discredited claims of a link between the MMR jab and autism. 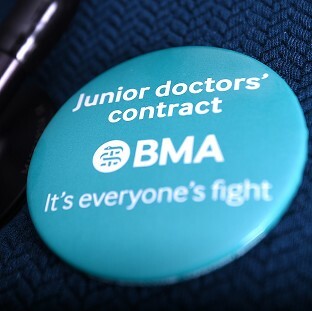 The British Medical Association (BMA) has announced three further 48-hour strikes of junior doctors. The BMA also announced that it is to seek a judicial review into the government’s plans to impose new contracts. 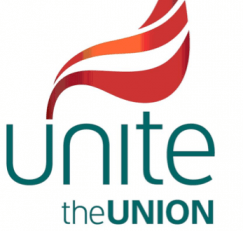 The dates planned for industrial action are 9 March, 6 April and 26 April. All are scheduled to begin at 8am. Emergency cover will be maintained. Health secretary Jeremy Hunt’s controversial push to impose new terms and conditions on all 45,000 junior doctors has exacerbated the bitter and long-running dispute. The government’s argument in their attack on junior doctors’ pay and conditions has been that they had a manifesto commitment to introduce seven-day access to all aspects of health care and that this was necessary to reduce excess deaths among weekend hospital admissions. The government’s approach seems to amount to forcing junior doctors to work more at weekends for less pay. But, unless they also force them to work longer hours, this must reduce the number of doctors on weekdays. If the original problem of excess deaths was due to a lack of junior doctors at weekends, the result would be to equalise death rates by lowering death rates following weekend admissions and raising those following weekday admissions. Health Secretary Jeremy Hunt was very keen to talk about the evidence of excess deaths to justify his actions and, of course, evidence is very important. He claimed “We now have seven independent studies showing mortality is higher for patients admitted at weekends.” We will look at this evidence. The DH says there is significant evidence of a “weekend effect” where patients admitted over the weekend have higher rates of mortality.1 The DH lists eight pieces of what they call research in support. 1. The major study cited by DH is from the British Medical Journal (Freemantle et al., 2015):2 one of its co-authors is Bruce Keogh, National Medical Director of NHS England. It found that death rates were higher for patients admitted on Fridays (2% higher), Saturdays (10% higher), Sundays (15% higher) and Mondays (5%) than on other days. Since the overall death rate within 30 days for all admissions is 1.8%, this means that the 15%-higher Sunday rate is 2.1% or 3 in 1000 “extra” deaths. We need to understand why and this is where it is important to look at how ill patients are on the day of admission. Risk The study informs us that, while 29% of weekday admissions are emergencies, on Saturdays the figure is 50% and on Sunday 65%. Using another criterion, mortality risk from all factors except day of admission, while 20% of weekday admissions were in the highest category, 25% on Saturdays and 29% on Sundays were in this highest risk of dying group. On these bases, we would expect an increased death rate for weekend admissions of anywhere between 25% and 125%. The observed “excess” of 15% on Sundays should be a cause for congratulation. Einstein will be proved right … again! Let us first consider the question from the point of view of scientific knowledge. It might appear that there are no essential methodological differences between astronomy and economics: scientists in both fields attempt to discover laws of general acceptability for a circumscribed group of phenomena in order to make the interconnection of these phenomena as clearly understandable as possible. But in reality such methodological differences do exist. The discovery of general laws in the field of economics is made difficult by the circumstances that observed economic phenomena are often affected by many factors which are very hard to evaluate separately. In addition, the experience which has accumulated since the beginning of the so-called civilised period of human history has—as it well known— been largely influenced and limited by causes which are by no means exclusively economic in nature. For example, most of the major states of history owed their existence to conquest. The conquering peoples estab]ished themselves, legally and economically, as the privileged class of the conquered country. They seized for themselves a monopoly of the land ownership and appointed a priesthood from among their own ranks. The priests, in control of education, made the class division of society into a permanent institution and created a system of values by which the people were thenceforth, to a large extent unconsciously, guided in their social behaviour. But historic tradition is, so to speak, of yesterday; nowhere have we really overcome what Thorstein Veblen called “the predatory phase” of human development. The observable economic facts belong to that phase and even such laws as we can derive from them are not applicable to other phases. Since the real purpose of socialism is precisely to overcome and advance beyond the predatory phase of human development, economic science in its present state can throw little light on the socialisf society of the future. Second, socialism is directed towards a social-ethical end. Science, however, cannot create ends and, even less, instill them in human beings; science, at most, can supply the means by which to attain certain ends. But the ends themselves are conceived by personalities with lofty ethical ideals and —if these ends are not stillborn, but vital and vigorous—are adopted and carried forward by those many human beings who, half unconsciously, determine the slow evolution of society. Man is, at one and the same time, a solitary being and a social being. As a solitary being, he attempts to protect his own existence and that of those who are closest to him, to satisfy his personal desires, and to develop his innate abilities. As a social being, he seeks to gain the recognition and affection of his fellow human beings, to share in their pleasures, to comfort them in their sorrows, and to improve their conditions of life. Only the existence of these varied, frequently conflicting, strivings accounts for the special character of a man, and their specific combination determines the extent to which an individual can achieve an inner equilibrium and can contribute to the well-being of society. It is quite possible that the relative strength of these two drives is, in the main, fixed by inheritance. But the personality that finally emerges is largely formed by the environment in which a man happens to find himself during his development, by the structure of the society in which he grows up, by the tradition of that society, and by its appraisal of particular types of behaylour. The abstract concept “society” means to the individual being the sum total of his direct and indirect relations to his contemporaries and to all the people of earlier generations. The individual is able to think, feel, strive, and work by himself; but he depends so much upon society— in his physical, intellectual, and emotional existence—that it is impossible to think of him, or to understand him, outside the framework of society. It is “society” which provides man with food, clothing, a home, the tools of work, language, the forms of thought, and most of the content of thought; his life is made possible through the labour and the accomplishments of the many millions past and present who are all hidden behind the small word “society”. It is evident, therefore, that the dependence of the individual upon society is a fact of nature which cannot be abolished—just as in the case of ants and bees. However, while the whole life process of ants and bees is fixed down to the smallest detail by rigid, hereditary instincts, the social pattern and interrelationships of human beings are very variable and susceptible to change. Memory, the capacity to make new combinations, the gift of oral communication have made possible developments among human beings which are not dictated by biological necessities. Such developments manifest themselves in traditions, institutions, and organisations; in literature; in scientific and engineering accomplishments; in works of art. This explains how it happens that, in a certain sense, man can influence his life-through his own conduct, and that in this process conscious thinking and wanting can play a part. Man acquires at birth, through heredity, a biological constitution which we must consider fixed and unalterable, including the natural urges which are characteristic of the human species. In addition, during his lifetime, he acquires a cultural constitution which he adopts from society through communication and through many other types of influences. It is this cultural constitution which, with the passage of time, is subject to change and which determines to a very large extent the relationship between the individual and society. Modern anthropology has taught us, through comparative investigation of so-called primitive cultures, that the social behaviour of human beings may differ greatly, depending upon prevailing cultural patterns and the types of organisation which predominate in society. It is on this that those who are striving to improve the lot of man may ground their hopes: human beings are not condemned, because of their biological constitution, to annihilate each other or to be at the mercy of a cruel, self-inflicted fate. If we ask ourselves how the structure of society and the cultural attitude of man should be changed in order to make human life as satisfying as possible, we should constantly be conscious of the fact that there are certain conditions which we are unable to modify. As mentioned before, the biological nature of man is, for all practical purposes, not subject to change. Furthermore, technological and demographic developments of the last few centuries have created conditions which are here to stay. In relatively densely settled populations with the goods which are indispensable to their continued existence, an extreme division of labour and a highly-centralised productive apparatus are absolutely necessary. The time — which, looking back, seems so idyllic—is gone forever when individuals or relatively small groups could be completely self sufficient. It is only a slight exaggeration to say that mankind constitutes even now a planetary community of production and consumption. I have now reached the point where I may indicate briefly what to me constitutes the essence of the crisis of our time. It concerns the relationship of the individual to society. The individual has become more conscious than ever of his dependence upon society. But he does not experience this dependence as a positive asset, as an organic tie, as a protective force, but rather as a threat to his natural rights, or even to his economic existence. Moreover, his position in society is such that the egotistical drives of his make-up are constantly being accentuated, while his social drives, which are by nature weaker, progressively deteriorate. All human beings, whatever their position in society, are suffering from this period of deterioration. Unknowingly prisoners of their own egotism, they feel insecure, lonely and deprived of the naive, simple, and unsophisticated enjoyment of life. Man can find meaning in life, short and perilous as it is, only through devoting himself to society. The economic anarchy of capitalist society as it exists today is, in my opinion, the real source of the evil. We see before us a huge community of producers the members of which are unceasingly striving to deprive each other of the fruits of their collective labour – not by force, but on the whole in faithful compliance with legally established rules. In this respect, it is important to realise that the means of production – that is to say, the entire productive capacity that is needed for producing consumer goods as well as additional capital goods – may legally be, and for the most part are, the private property of individuals. For the sake of simplicity, in the discussion that follows I shall call “workers” all those who do not share in the ownership of the means of production—although this does- not quite correspond to the customary use of the term. The owner of the means of production is in a position to purchase the labour power of the worker. By using the means of production, the worker produces new goods which become the property of the capitalist. The essentiai point about this process is the relation between what the worker produces and what he is paid, both measured in terms of real value. Insofar as the labour contract is “free”, what the worker receives is determined not by the value of the goods he produces, but by his minimum needs and by the capitalists’ requirements for labour power in relation to the number of workers competing for jobs. It is important to understand that even in theory the payment of the worker is not determined by the value of his product. Private capital tends to become concentrated in few hands, partly because of competition among the capitalists, and partly because technological development and the increasing division of labour encourage the formation of larger units of production at the expense of the smaller ones. The result of these developments is an oligarchy of private capital the enormous power of which cannot be effectively checked even by a democratically organised political society. This is true since the members of legislative bodies are selected by political parties, largely financed or otherwise influenced by private capitalists who, for all practical purposes, separate the electorate from the legislature. The consequence is that the representatives of the people do not in fact sufficiently protect the interests of the underprivileged sections of the population. Moreover, under existing conditions, private capitalists inevitably control, directly or indirectly, the main sources of information (press, radio, education). It is thus extremely difficult, and indeed in most cases quite impossible, for the individual citizen to come to objective conclusions and to make intelligent use of his political rights. The situation prevailing in an economy based on the private ownership of capital is thus characterised by two main principles: first, mean of production (capital) are privately owned and the owners dispose of them as they see fit; second, the labour contract is free. Of course, there is no such thing as a pure capitalist society in this sense. In particular, it should be noted that the workers, through long and bitter political struggles, have succeeded in securing a somewhat improved forrn of the “free labour contract” for certain categories of workers. But taken as a whole, the present day economy does not differ much from “pure” capitalism. Production is carried on for profit, not for use. There is no provision that all those able and willing to work will always be in a position to find employment; an “army of unemployed” almost always exists. The worker is constantly in fear of losing his job. Since unemployed and poorly paid workers do not provide a profitable market, the production of consumers’ goods is restricted, and great hardship is the consequence. Technological progress frequently results in more unemployment rather than in an easing of the burden of work for all. The profit motive, in conjunction with competition among capitalists, is responsible for an instability in the accumulation and utilisation of capital which leads to a huge waste of labour, and to that crippling of the social consciousness of individuals which I mentioned before. I am convinced there is only one way to eliminate these grave evils, namely through the establishment of a socialist economy, accompanied by an educational system which would be oriented toward social goals. In such an economy, the means of production are owned by society itself and are utilised in a planned fashion. A planned economy, which adjusts production to the needs of the community, would distribute the work to be done among all those able to work and would guarantee a livelihood to every man, woman and child. The education of the individual, in addition to promoting his own innate abilities, would attempt to develop in him a sense of responsibility for his fellow men in place of the glorification of power and success in our present society. Nevertheless, it is necessary to remember that a planned economy is not yet socialism. A planned economy as such may be accompanied by the complete enslavement of the individual. The achievement of socialism requires the solution of some extremely difficult socio-political problems: how is it possible, in view of the far-reaching centralisation of political and economic power, to prevent bureaucracy from becoming all-powerful and overweening? How can the rights of the individual be protected and therewith a democratic counterweight to the power of the bureaucracy be assured? Clarity about the aims and problems of socialism is of greatest significance in our age of transition. Since, under present circumstances, free and unhindered discussion of these problems has come under a powerful taboo, I consider the foundation of this magazine to be an important public servlce. 2015 marked an important milestone in the history of physics: just over one hundred years ago, in November 1915, Albert Einstein wrote down the famous field equations of General Relativity. General Relativity is the theory that explains all gravitational phenomena we know (falling apples, orbiting planets, escaping galaxies…) and it survived one century of continuous tests of its validity. After 100 years it should be considered by now a classic textbook theory, but General Relativity remains young in spirit: its central idea, the fact that space and time are dynamical and influenced by the presence of matter, is still mind-boggling and difficult to accept as a well-tested fact of life. If your school-age son is somewhat better than clever in any field of science, you may have heard the expression: “He’s an Einstein.” It is indeed unprecedented that the name of a scientist working in highly specialized mathematical physics has become a by-word in the homes of his adopted land. 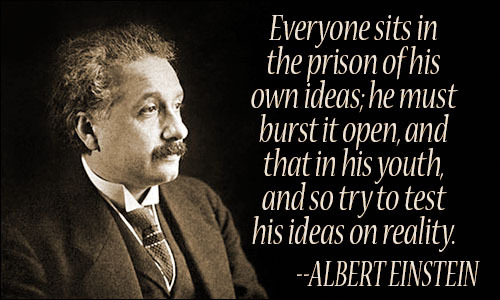 This unique status of Albtrt Einstein rests not only on his scientific pre-eminence but also upon his keen interest in social and political affairs. Dr. Einstein’s great scientific works—the Special Theory of Relativity (1906), The General Theory of Relativity (1915-20), and the extension of the General Theory to cover electromagnetic phenomena (1950)—can be understood only with the aid of tensor calculus. Obviously, only those versed in higher mathematics con begin to understand the technical phases of Einstein’s theories. But there are different levels of understanding in science and it is perfectly possible to choose a level of relativity theory which can be understood even by those with no special mathematical training. Einstein himself has done an excellent job of “popularizing” in his Relativity, The Special and General Theory. Also recommended is Leopold lnfeld’s Albert Einstein, His Work and Influence on our World (Charles Scribner, N Y, 1950). (2) There is a spontaneous activity of the mind, altogether apart from experience, which can make contributions of the utmost value to natural philosophy. Just as Einstein’s belief in “harmony of all being” leads him away from simple experience, deduction, and abstraction in scientific endeavor, so it also leads him toward a cooperative society, However, there is no General Theory dealing with social relations. In Why Socialism? (a chapter in his Out of My Later Years) Dr. Einstein investigates the difficulty of making general formulations of social phenomena. He does indicate the “essence of the crisis of our time”: “The individual has become more conscious than ever of his dependence upon society. But he does not experience this dependence as a positive asset . . . but rather as a threat to his natural rights, or even his economic existence. . . . Man can find meaning in life, short and perilous as it is, only through devoting himself to society.” Further in this essay, written in 1949, Einstein assails capitalist production “for profit, not for use,” unemployment, inadequate wages, and the worship of acquisitive success. The threat of another war concerns Albert Einstein constantly. His road to peace lies in “One World”—a supra-national government having the sole function of military security. National troops are to be replaced by international police and offensive weapons are to be outlawed. Einstein now advocates that the Western powers take the lead in the formation of this world government, leaving the door open at all times for Russia to join. Is He Breaking with Russian Illusion? These proposals for One World exposed Einstein to attack by four famous Russian scientists in November 1947. These Stalinist spokesmen rationalized their nationalist ambitions and denounced Einstein as a “virtual supporter of the schemes and ambitions of the bitterest foes of peace and international cooperation.” This attack brought to an end a period during which Dr. Einstein was noticeably non-critical of Stalinism and was used by their front movements. Edmund Whittaker, a reviewer of the book Albert Enslein, Philosopher-Scientist, writes: “Some of the observational confirmations [to the General Theory of Relativity] do not appear to he so secure as they were thought to be a few years ago.” It is possible that Einstein may share the fate of other scientists of our era and outlive his most famous works. Already it has been questioned as to whether Einstein is one of the three men who understand Einstein best. Nevertheless, it may well be his greatest contribution that he has foreshadowed the ideal citizen of the socialist tomorrow—a specialist in his vocational sphere, where there is no room for amateurs; and a serious participant in political life, where there should be no professionals in the sense that special interests and privileges are accrued. What a commentary on the real nature of capitalism in its decadent phase is this, that the scientific conquest of the marvellous secret of atomic energy, which might rationally be used to lighten the burdens of all mankind, is employed first for the wholesale destruction of half a million people. Hiroshima, the first target, had a population of 340,000 people. Nagasaki, the second target, had a population of 253,000 people. A total in the two cities of approximately 600,000 people, in cities of flimsy construction where, as reporters explain, the houses were built roof against roof. How many were killed? How many Japanese people were destroyed to celebrate the discovery of the secret of atomic energy? From all the reports we have received so far, they were nearly all killed or injured. Nearly all. In the [New York] Times today there is a report from the Tokyo radio about Nagasaki which states that “the centre of the once thriving city has been turned into a vast devastation, with nothing left except rubble as far as the eye could see”. Photographs showing the bomb damage appeared on the front page of the Japanese newspaper Mainichi. The report says: “One of these pictures revealed a tragic scene 10 miles away from the centre of the atomic air attack”, where farm houses were either crushed down or the roofs torn asunder. In two calculated blows, with two atomic bombs, American imperialism killed or injured half a million human beings. The young and the old, the child in the cradle and the aged and infirm, the newly married, the well and the sick, men, women, and children — they all had to die in two blows because of a quarrel between the imperialists of Wall Street and a similar gang in Japan. This is how American imperialism is bringing civilisation to the Orient. What an unspeakable atrocity! What a shame has come to America, the America that once placed in New York harbour a Statue of Liberty enlightening the world. Now the world recoils in horror from her name. One preacher quoted in the press, reminding himself of something he had once read in the Bible about the meek and gentle Jesus, said it would be useless to send missionaries to the Far East anymore. That raises a very interesting question which I am sure they will discuss among themselves. One can imagine an interesting discussion taking place in the inner circles of the House of Rockefeller and the House of Morgan, who are at one and the same time-quite by accident of course-pillars of finance and pillars of the church and supporters of missionary enterprises of various kinds. “What shall we do with the heathens in the Orient? Shall we send missionaries to lead them to the Christian heaven or shall we send atomic bombs to blow them to hell?” There is a subject for debate, a debate on a macabre theme. But in any case, you can be sure that where American imperialism is involved, hell will get by far the greater number of the customers. Long ago the revolutionary Marxists said that the alternative facing humanity was either socialism or a new barbarism, that capitalism threatens to go down in ruins and drag civilisation with it. But in the light of what has been developed in this war and is projected for the future, I think we can say now that the alternative can be made even more precise: the alternative facing mankind is socialism or annihilation! It is a problem of whether capitalism is allowed to remain or whether the human race is to continue to survive on this planet.